The “BCBR” or more formally, the BC Bike Race, that Nash speaks of is in a league of its own: over 600 riders from 40 different countries — all of varying abilities and fitness levels — flock every July to the environs of Canada’s coastal British Columbia for a seven-day staged race that is often described as “Summer Camp for Adults”. 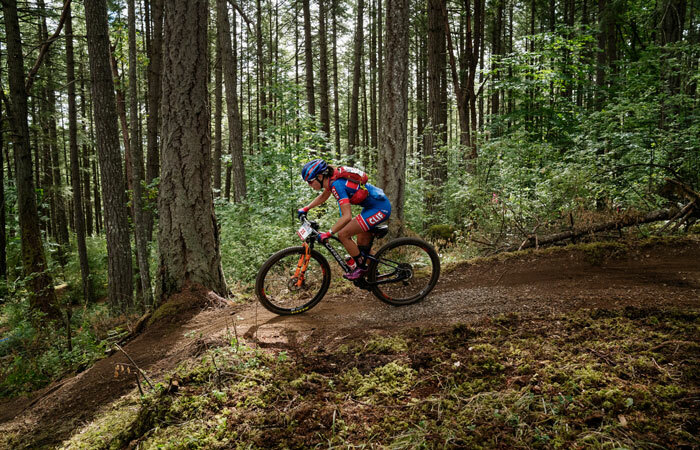 Throughout the race, riders follow daily stretches of single track that wends its way over 321 kilometers of trail that includes some of the most technical in North America. 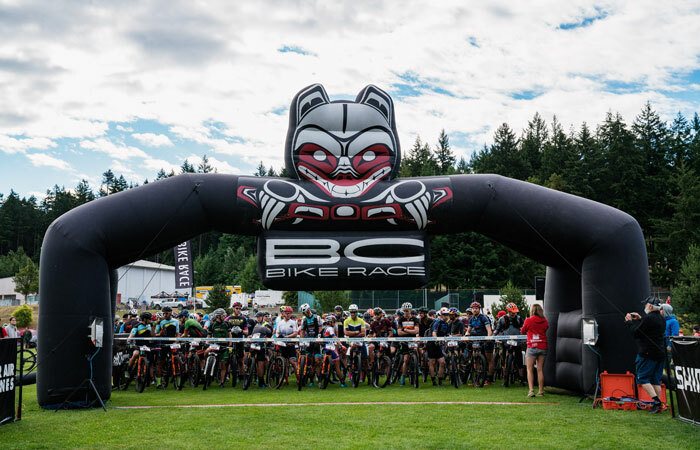 And with each day, hundreds of tents are erected by an army of race volunteers in tiny communities along the route, while the BC Ferries system and a team of float planes shepherd racers and their gear to more remote segments of the course. 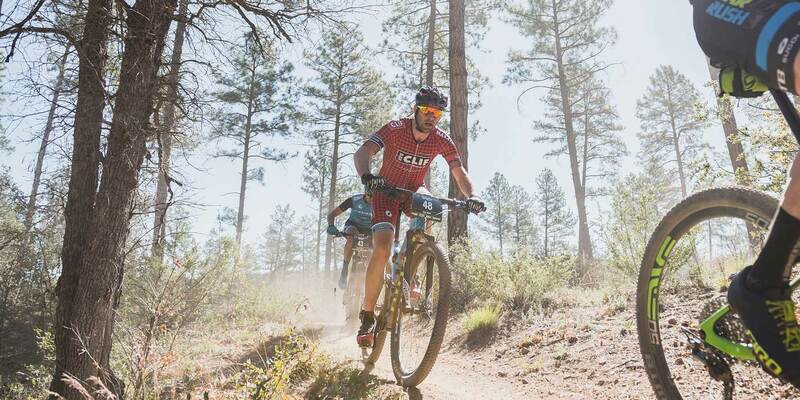 After every stage, beers are popped, meals are shared, and guitars are strummed, as racers wind down and enjoy the revelry that comes from a community of mountain bike enthusiasts before lights out and the whole scene repeats itself the next day. 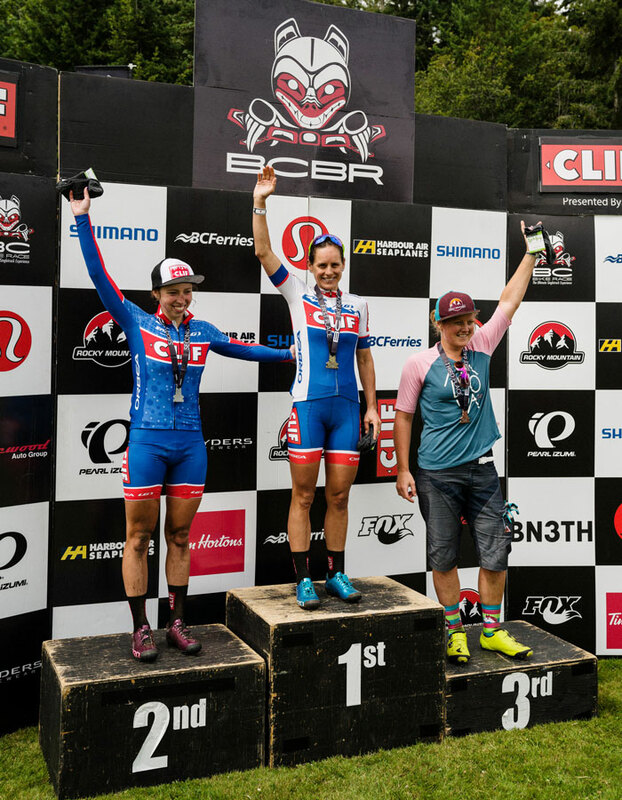 For this year’s race, four-time BCBR veteran Nash is here to defend her winning title from the summer before, and is racing alongside her teammate and recent college grad Hannah Rae Finchamp, who’s racing the BCBR for the first time. Andreas Hestler started BC Bike Race 12 years ago, and can boast sold-out registrations for it a year in advance from riders from all over the world “because they have nothing like it at home.” In the most hectic week of the year for Hestler, he races the course himself (riders are often excited to ‘ride with Dre!’), oversees hundreds of volunteers and temporary staff, helps ensure that over 14,000 meals are served at 10 different locations, and his proudest stat around the race is that 97 percent of the racers complete the entire race. Her teammate this year finished 1:09 behind her and had a different race experience, as she was battling with the eventual second-place finisher throughout the week. 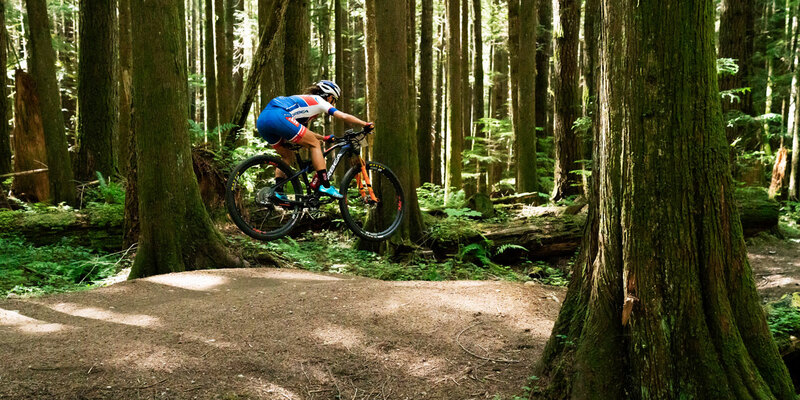 Finchamp transitioned to mountain biking after getting her athletic start in Xterra triathlon and cyclocross, and for the last three seasons, she’s been entirely committed to going offroad — but even still, BC Bike Race presented one of the biggest challenges for the young racer. “You have the opportunity to dial in who you are and who you want to be as a racer at a race like this,” Finchamp says of her week in BC. “It made me better. I’m a perfectionist. I think a lot of people in sport are. But after one day, it became so apparent that when you’re living out of a small bag in a tent, when you’re taking ferries to the start line, when you know you’re not going to line up with your legs feeling perfect, that expectation about perfection goes away. And you can have a great race when everything isn’t perfect." Both women list fueling properly throughout the week as extremely important to surviving the week. For Nash, CLIF SHOT Energy Gel in strawberry was her fuel of choice, though she always carried an 'emergency’ Nuts and Seeds CLIF BAR with her as well. She also used CLIF Hydration Electrolyte Drink Mix in Lemon Limeaide in her hydration pack to make sure her electrolyte balance was steady throughout each stage. Finchamp preferred choosing between CLIF SHOT Energy Gel in strawberry and chocolate cherry to break up each ride. The toughest part of the race is also the most fun: Falling into a daily routine of waking up early, eating breakfast, packing up and getting dressed for the start, duking it out on the course, rolling through the finish line, cleaning up and eating a post-race snack, getting to camp, showering, eating again, trying to recover ahead of dinner, eating one final meal and turning in early — or staying up late to swap race-day tales with new friends or hopping into the water for an imitation of an ice bath. It’s not all Instagram-perfect good times though. For Finchamp, the toughest moment was forgetting earplugs and a middle-of-the-night tent move when she got stuck next to an amazingly loud snorer for the third night in a row. 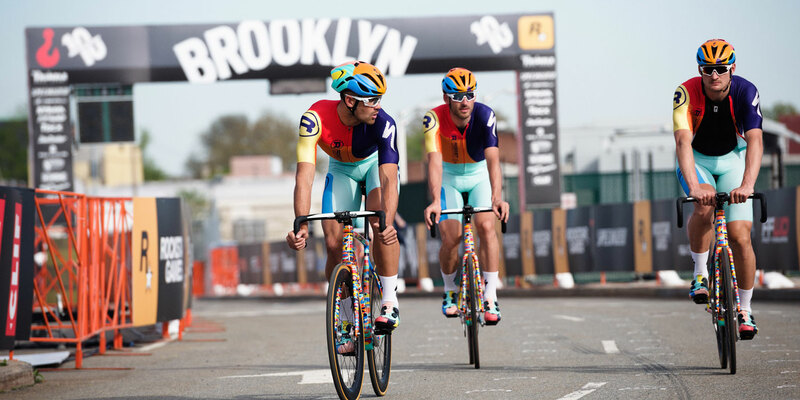 The amateur racers who line up at the start say that the weeklong race gives them a chance to leave all their worries in everyday life behind, just focusing on riding and prep for the next day, forgetting about the drama at the office or the report that’s due next month. The race pushes you physically, mentally and emotionally, no matter what level of rider you are, but in spite of — or because of — that, it's also considered some of the most fun you’ll ever have on two wheels.